The New Testament finds many ways to depict the relationship of Christians and their Lord. They are his disciples, sons, daughters and friends. But it is perhaps too little recognized that they are also his slaves. In this New Studies in Biblical Theology volume, Murray J. Harris sets out to uncover what it means to be a slave of Christ. He begins by assessing the nature of actual slavery in the Greco-Roman world and the New Testament's attitude towards it. Drawing insights from this, he goes on to unfold the metaphor of slavery to Christ. Among the topics discussed are slavery and spiritual freedom, lordship, ownership, and privilege. 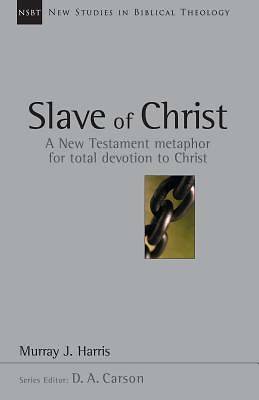 Slave of Christ is a model of good biblical theology, providing insights both for future study of the Bible and for practical application. Addressing key issues in biblical theology, the works comprising New Studies in Biblical Theology are creative attempts to help Christians better understand their Bibles. The NSBT series is edited by D. A. Carson, aiming to simultaneously instruct and to edify, to interact with current scholarship and to point the way ahead.